Big news for fans of Scandal and Grey’s Anatomy as ShondaLand has announced two new spinoffs featuring Jessica Capshaw and Darby Stanchfield! When news broke that Jessica Capshaw and Sarah Drew were being let go from Grey’s Anatomy, fans were rightly upset. Luckily for those diehard Arizona Robbins fans, ShondaLand has revealed that the character will be getting her very own spinoff! Like Private Practice, the new series (which is still untitled) will follow Arizona as she sets off on a new adventure. This time, Arizona will be moving to New York to be closer to her daughter who had moved there with Callie. As seen on Grey’s Anatomy, Sofia was having a hard time returning to Seattle to visit Arizona. It clearly made things harder for both mother and daughter. This will lead to Arizona deciding to move to New York. It’s not yet clear if this means that Arizona will also try to rekindle things with her ex-wife, given that Sara Ramirez has seemingly moved on from her character of Callie. But fans can always hope! Either way, we’re excited to hear that Jessica Capshaw won’t be leaving the Grey’s Anatomy universe after all! 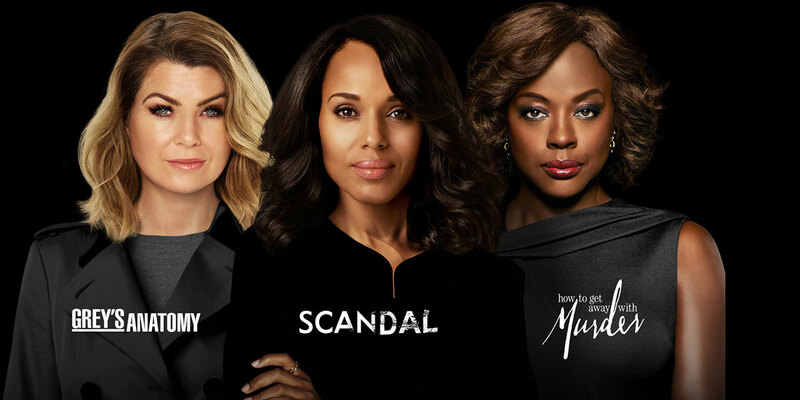 Meanwhile, Scandal may air its final episode on April 19, but the Gladiators aren’t going anywhere! Expected to release in the fall of 2018, the Scandal spinoff, Gladiator Wanted will return as a web-only series. Airing new episodes each Thursday (is there really any other day), the series will pick up the pieces following the series finale. Back in 2016, the series produced a limited digital-only spinoff starring some of the original cast. With the focus on elections, Olivia Pope’s family, and other more pressing matters in the West Wing, it’s easy for Scandal to forget about the little guys. Namely those who make the series what it is – the Gladiators. Who else will stop by for another bite of Scandal? Should they survive, our money is on Huck (Guillermo Diaz), Charlie (George Newbern), and Quinn (Katie Lowes). Seeing as they were involved in the first spinoff, and are the heart of the current QPA operation, it makes sense that they would swing by for a guest spot or two! The only original cast member we’re speculating will not return is Marcus, played by Cornelius Smith Jr. He made a nice pitch for his character to eventually head over to HTGAWM during the crossover event. Are you excited the Gladiators are not hanging up their white hats just yet?